aRt & tHeOlOgY: Christ. Caviezel. Christians and Confession. A friend recently sent me a link to a Jim Caviezel interview, given in August of 2010 at Rock Church, San Diego. 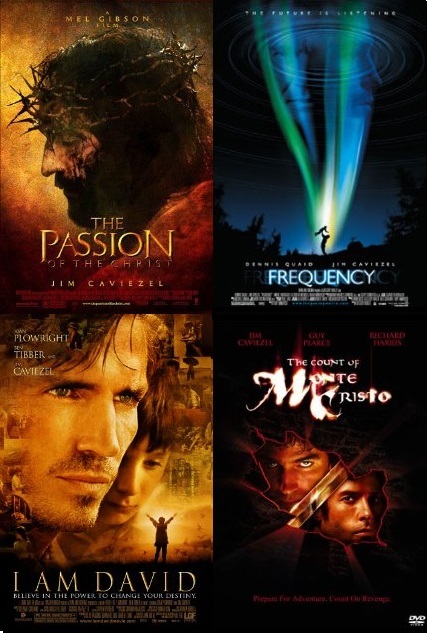 Throughout it Caviezel discusses his reasons for working on the ‘Passion of the Christ’. He details the before and after experience, making it clear that the work was not easy. Unfortunately he didn’t discuss his work in ‘Frequency’ (2000), ‘The Count of Monte Cristo’ (2002) and ‘I am David’ (2003). He did, however, make some pointed remarks about freedom, society, faith and politics. First, Caviezel’s delivery. His tone is for the most part sombre, sometimes urgent, but appeared to be full of conviction. He is keen to proclaim a message. Second, despite some cheesy remarks from the interviewer, who all-in-all did a great job, Caviezel stays focused on his message. He sticks to clear points of interest that suggest this is not a put on just for entertainment or publicity value. Third, Caviezel appears to be a man of conviction, speaking about lessons learnt from difficult experiences and introspective reflection. Despite what you might think about ‘The Passion’ Movie, Mel Gibson or Caviezel, this interview is a rare insight into the journey of an actor who, by taking up the role of Jesus in the movie, gained more than he gave up or had stripped from him. I thought the interview was candid and free of theatrics. It reveals a man willing to confess his faith in Jesus Christ, in full awareness of the cost to his own financial security, professional reputation and ambition. Seeing as how this interview was almost four years old, you may have seen it. If not, the full 40min is worth making the time to watch it.